SparkPost is an API-first service, targeting developers. What this means in practice is that we build our APIs (you guessed it) first, and then build our UI using those same API calls. We also have quite a few human users of our APIs, in addition to the automated systems we’ve built around them. Some of these users aren’t comfortable enough on the command line, or with the details of HTTP, to use cURL to build their API requests. This is where Postman comes in, turning the API request and response into something much more human-readable. Postman gives less-technical users a way to make arbitrary HTTP requests using a point and click user interface. Collections make it easy to organize your requests and, to a point, share them. Environments make it easy to switch authentication keys and make other things configurable without editing each request. The new Run in Postman button makes it much easier to share collections. Since we already use Postman internally, and for demos, it was a no brainer for us to get the button set up, using examples from our API documentation. 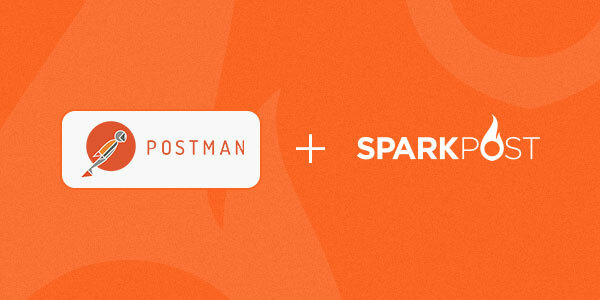 There are lots of things you can do with the SparkPost API, and now, more easily, with Postman. For example, you could send quick, one-off test messages, or experiment with some of our more complex templating features. When it’s time to do some data analysis, our API gives you lots of options about what kinds of metrics you’d like to see, what period of time you’d like to see data for, and how to group the data that’s returned. The examples that we’ve provided are organized by endpoint, so they’re really showing you what types of questions can be answered. Customizing these queries so they answer the sorts of questions you have about what you’re sending is where things start to get interesting. Show us how you’re using our collection and get your questions answered on Slack, Twitter or good ole’ email. Hi Sweta, if you get the same error after upgrading Postman to the latest version, please head over to slack.sparkpost.com and we’ll help get you up and running.